The most-rewatched moment of Sunday's Super Bowl was, in fact, not an ad, according to Alviso-based TiVo. The top moment was the Pittsburgh Steelers final offensive play -- an incomplete pass from Ben Roethlisberger that gave the Green Bay Packers the ball, and the championship. TiVo crunched the data from 37,000 anonymous users to find the top-10 list of which advertisements were watched, and rewatched, during the game. And the big guns at AdAge.com have weighed in on their favorite ads from the game (they, too, liked the Eminem ad that didn't get re-watched according to TiVo). YouTube.com's Ad Blitz has a voting system in place, where all of the Super Bowl ads are viewable, too. Last year's winner was a Doritos ad, but this year they placed two in the top 10, but not the top spot. This year ... Snickers gets it done with Richard Lewis and Roseanne Barr getting "logged." "Humor, no surprise, led the way again," Tara Maitra, TiVo's vice president of audience research, told NBC Bay Area.com. "Celebrity talent and user-generated content helps, too." A couple that failed to pop with TiVo users? Beer and box office, surprisingly. This year it was mostly about the funny. 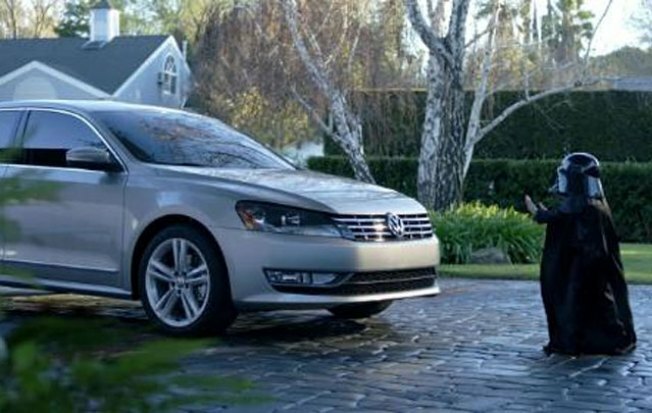 For instance, that Passat ad was viewed 14 million times before the game even started -- and it still made it to number four on the list. TiVo captures second-by-second user behavior, providing a real-time glimpse into our viewing habits. Turns out, we still like the funny, until the game really gets going -- people by far watch more commercials in the first half than the second. And that Silicon Valley need for data bears that out, too: on average, people rewound the ads 145 times during the game, using that snazzy "Trick Play" button.